The Merlin Show arrives Monday, February 26th, at thirty theoretically productive frames per second. I'm happy to announce that I've accepted an offer to advise Values of n on the development of their Stikkit web application. In fact, although I've been using and loving Stikkit for several months now, I've held off talking about it much on 43f until this addition was made official and public1. But, since I stand to have an advisor's stake in the business as a result of this work, it was important to tell you guys and properly disclose my involvement before doing much gushing in the content well here. I have a pile of tips for how I'm using Stikkit and have been regularly poking Rael, Michael, and crew (to what I imagine is the point of polite professional annoyance) with feature ideas and things I want the app to do (hint: everything). So I'm glad I can finally start sharing this stuff, here and elsewhere. This is the first Advisory Board thing in which I've participated (my OmniFocus advising is pro bono and will continue as before), so I'm pretty excited to officially get started. Anyhow, I wanted you to know about this and to say that I'll be linking back to this post whenever it's appropriate to remind you of my proud involvement in Stikkit. I am enthused about where this project is headed, and I'm honored that Rael and his team have let me in on their process. 1. Note that folks in Canada can catch a demo of Stikkit I did on Call for Help which I taped in December, before this was approaching officialness. MacBreak 59 Macworld 2007: Show Floor Tour de Force - (MOV) - 11:38 - "Alex and Merlin round out our coverage from the Macworld 2007 expo." MacBreak 57 Macworld 2007: MemoryMiner - (MOV) - 08:01 - "Merlin interviews the creators of MemoryMiner." MacBreak 56 Macworld 2007: Macworld with Merlin, cont'd. - (MOV) - 11:02 - "Merlin continues his tour of the show floor, speaking with Dan Moren from MacUser, Brian Johnson from Microsoft and indulging in his most relaxing interview." MacBreak 54 Macworld 2007: Bare Bones Software - (MOV) - 09:23 - "Merlin chats with the folks at Bare Bones Software, makers of BBEdit and Yojimbo." MacBreak 53 Macworld 2007: Cocoalicious - (MOV) - 05:11 - "Merlin speaks to the developer of cocoalicious about his del.icio.us client and the software possibilities of the new iPhone." Here are the previous 4 segments and here's a pointer to all of MacBreak's Macworld coverage. Thanks to everybody at Pixel Corps who put this together, and most special thanks to everyone who talked with us, came to the meetups, or just said hi on the show floor. It was a really fun week for me. 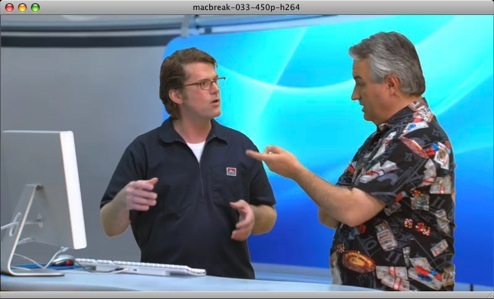 You can ensure you never miss an episode of MacBreak by subscribing for free. 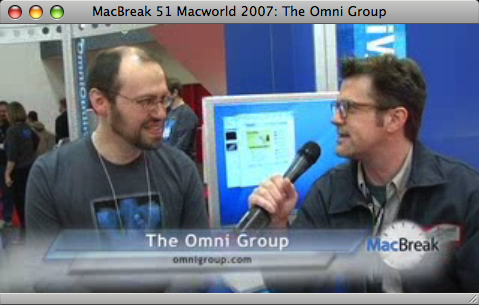 MacBreak 51 Macworld 2007: The Omni Group - (MOV) - 8:03 - "Merlin chats with Ken Case from the Omni Group about their products and the application development possibilities for the iPhone." MacBreak 50 Macworld 2007: MacTank - (MOV) - 07:44 - "Merlin chats with the developers of MailTank and MailTemplate." MacBreak 49 Macworld 2007: AppZapper, Pzziz and Cha-Ching - (MOV) - 8:58 - "Leo and Merlin continue their tour of 'Tiny Town', visiting with the makers of Cha-Ching, Pzziz and AppZapper." MacBreak Macworld 2007: Flip4Mac - (MOV) - 5:59 - "Leo and Merlin chat with the makers of the Flip4Mac suite of digital media tools." More episodes coming later today. 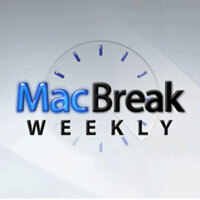 Never miss an episode of MacBreak by subscribing for free. 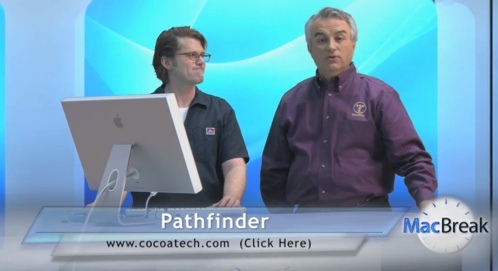 As promised, here's the latest video podcast episode of MacBreak, in which Leo and I have a look at Path Finder, an application by Cocoatech that (in my opinion) handsomely compensates for many of the deficits in the current OS X Finder. It also has a ton of cool features, preferences, and geegaws that most any Mac nerd will love. New to me in this episode: according to Leo, Woz (cough) likes Path Finder, too. Cool! Finally, here's some earlier coverage of Path Finder on 43f.